In an age when most rhythm games are little more than a list of songs, hero game developer Tak Fujii gives us Gal Metal, in which a band of Japanese high school students must save the world from an octopod invasion using the power of rock. Hell yes. Available today for the Nintendo Switch, Gal Metal is a callback to the wacky rhythm games of old. Parappa the Rappa, Gitaroo Man, Cool Cool Toon—those classic rhythm games have heart and story and all sorts of weird stuff going on. They give players a purpose beyond scoring points. They are utterly charming. So is Gal Metal. The premise makes perfect sense. An alien civilisation was disrupted by the music on the Voyager probe’s Golden Record, so they’ve come to Earth to exact revenge. In order to give humans a fighting chance, they merge the soul of a teenage boy with that of his classmate, the drummer of the school’s all-girl metal band. It’s a sound plan. Now the drummer, Rinko, her new soulmate and the rest of the band must defend the world from the invasion the only way they know how. Button and touchscreen control modes are a bit more complicated than swinging the Joy-Cons. 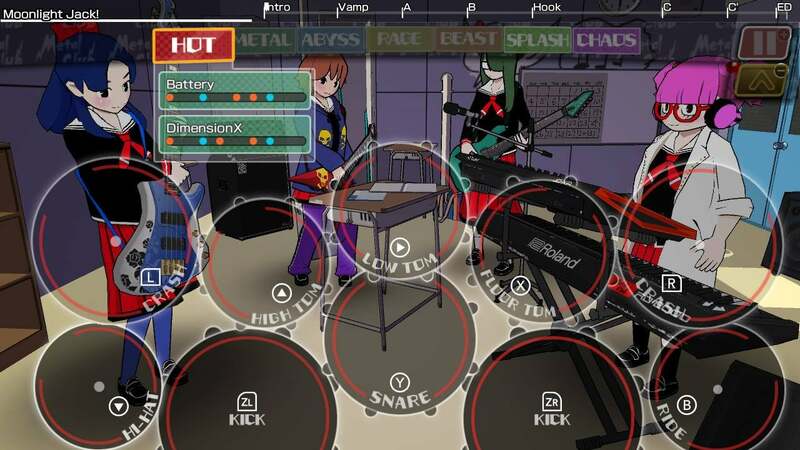 Gal Metal is a rhythm game focused on drumming. While the rest of the band plays, Rinko taps buttons, the Switch screen or (my personal favourite) swings the Joy-Cons in time with the music. There are multiple rhythm categories, each with their own selection of beats, from simple 4/4 time to all sorts of fancy stuff. The player strings these together during songs, creating combos while they rock out. Accuracy is a big focus. If you stumble, you lose your combo, plus it sounds horrible. The drumming is lovely, and as the game progresses new mechanics are introduced, such as using specific drums to stun enemies so they can’t shoot ink in your drum set, interrupting your performance. Were Gal Metal just these performances, I would have liked it just fine. But it’s so much more. Don’t overthink rocking out in Jupiter’s orbit. The game’s story unfolds in a manga format, panels panning from right to left, as manga does. We learn a lot about the band through these humorous asides. The band also regularly gets together to chat about various topics on their mobile phones. 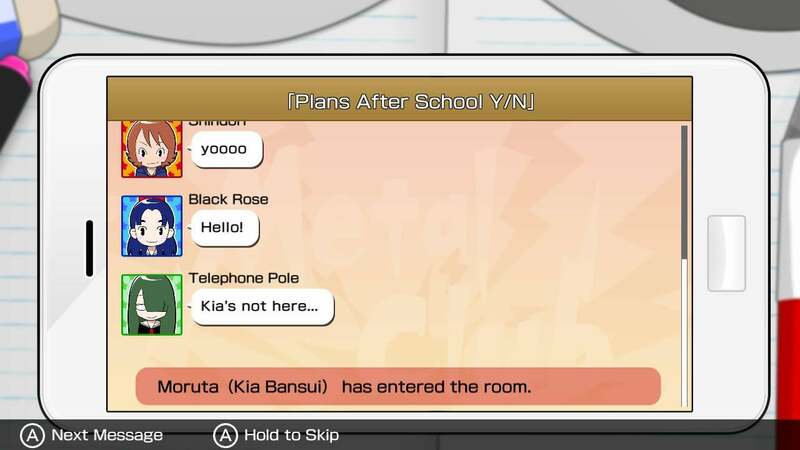 One of the girls’ chat handle is Telephone Pole. It is the best chat handle. And then there’s a whole time management game that plays out between performances. Rinko decides where she wants to work and play away the hours between gigs, forming deeper bonds with her bandmates and increasing (or decreasing) performance-affecting stats. It’s adorable. Now I love all rhythm games, whether or not they tell a story. I’m fine whiling away an hour tapping along to Musynx, DJMax or any of the contemporary “song list” games. But when a rhythm game goes out of its way to tell a story and heap on the weirdness, that’s the really good stuff. 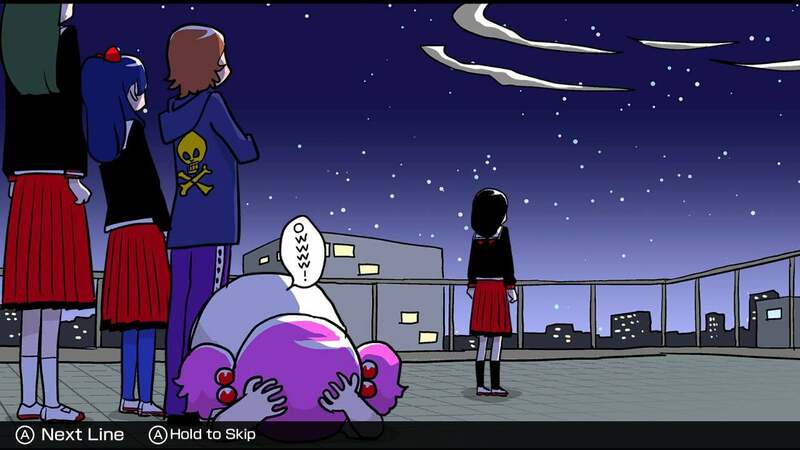 Gal Metal is really good stuff.